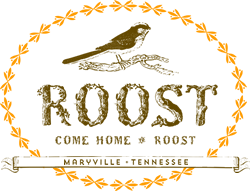 When people ask me, “What kind of store is ROOST?”, my answer is always, “A really good one!”. The word just seemed to fit! ROOST represents a clever mix. It is a home furnishings store with a casual flair brought to life by a distinct designer vibe. The name serves a dual purpose, not only does it describe the design sensibility of the product that the store offers but it also defines strong desire to work in the town that has raised me. 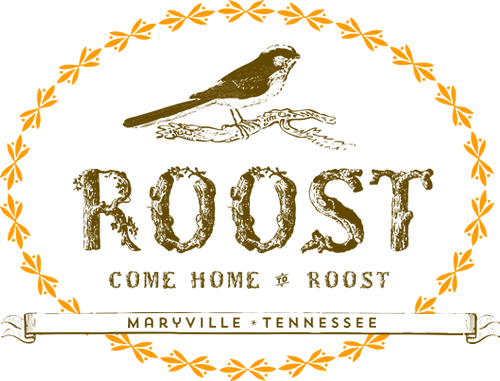 The tag line of the store is, “Come HOME to ROOST,”…which is exactly what I did, came back to invest and rest in my hometown. You see, I am a Maryville girl, I have called this friendly town home since I was 3 and I feel a very strong connection to it. After high school, I attended Maryville College where I earned a degree in Studio Art. I continued my education at UT Knoxville where I received a degree in Interior Design. 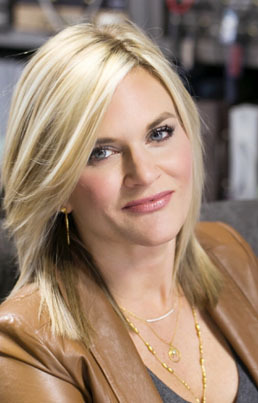 I have been working as a professional interior designer ever since; a job I truly love. My design team and I can help clients with design projects ranging in complexity from something as simple as custom draperies for one room to space planning and furnishing entire homes! We have spent lots of time “cherry-picking” furniture, lamps, rugs, art and accessory lines to develop a store that offers both a price point and a level of quality and uniqueness that I am proud of. I am also honored to represent many fine local and regional artists. Good handmade craft is such a passion of mine!